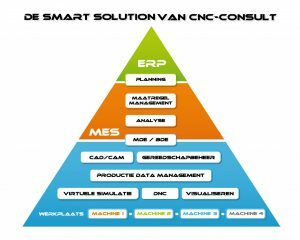 CNC-Consult & Automation BV is since 1995 active in the production market in the Benelux. We optimize your production proces in small stept to make it a SMART Factory bases on the Smart Industry principle. We do this with through the sales and support of software solutions. Our areas are CAD/CAM, CAI, Toolmanagement, Production Data Management, MES and planning software. hyperMILL from OPEN MIND Software Technologies is the CAD/CAM-solution for milling, turning and wireEDM. 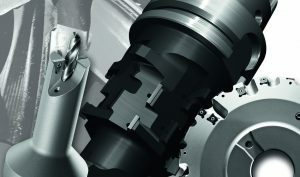 Toolmanagement and Production Data Management are the first steps in the Smart Industry optimisation. ToolDIRECTOR and FactoryDIRECTOR are helping to optimise this proces. To have a cockpit for your production, you need a MES environment with machine monitoring, production order monitoring, flexible planning all integrated wit ERP. With PROXIA we have the solutions to build this Smart Factory.